You're getting pop-ups, it's shutting down randomly, not charging, doesn't turn on, cracked screen, broken parts or liquid damaged...you've got problems. We repair any computer related issue. Our technicians resolve your software and hardware problems professionally and fast with reasonable rates to help solve your hardware and software issues. Either here in our shop or we can come out on site to your home or business. Computers are a machine that needs regular maintenance for peak performance. Basic computer maintenance can and will prevent problems further down the road. A neglected computer will suffer from software program crashes, slow performance, system freezes etc. Our technicians start with a diagnostic session and troubleshoot your system to see if there are any unseen problems. They they will contact you to let you know what they've found and what it's going to take to fix the problems. Peripherals are optional hardware that expand a computer's abilities, usually external in nature. 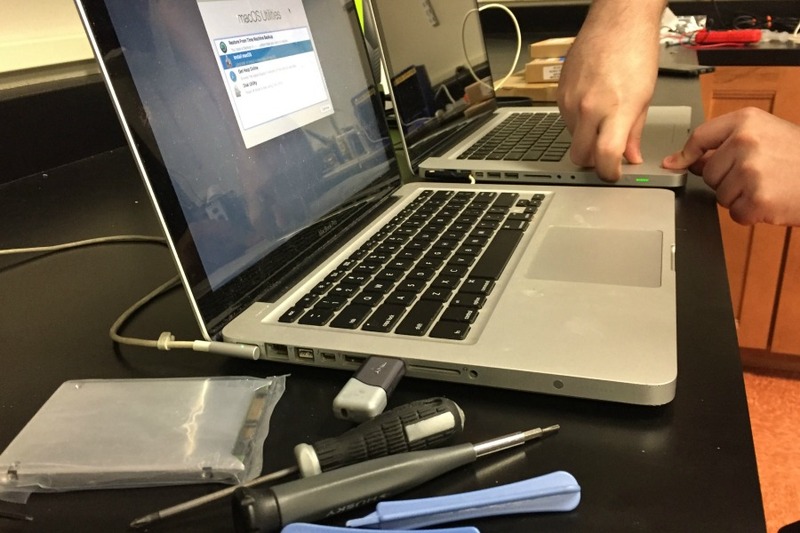 Madison Geeks can troubleshoot and install any peripheral that you might have. Upgrading your existing computer can often be a cost effective alternative to buying a new one. If your computer is a few years old, sometimes a few simple upgrades can bring it up to date. We also provide managed services for business.